See the end of this post for the March 2015 update. I got it working again for now. Earlier this year, I upgraded to an Alcatel OneTouch Fierce smartphone from the $20 cheapo phone I was using and was pretty happy to be back in the Android camp with all the available apps and the usable ‘Net and mail features I’d been doing without, not to mention the 4G service that Sprint had never delivered in this area but charged me for anyway. About a month ago, I noticed the hotspot feature on the Alcatel and, for $5 / month, figured it was a great deal. Now, I could share my 4G signal with my laptop, log in more securely in public and even have a backup broadband service for my PC when my ISP’s service occasionally flakes out. All was going good for about a month until this weekend when the hotspot suddenly stopped working. My PC and laptop would still show a good connection to the hotspot but I couldn’t load any pages in the browser. Chrome would spend about 15 seconds trying to establish a connection and then report that the page took too long to load. Firefox was the same. I tried with three different machines and three different operating systems (Windows XP / 7 and 8) and all did the same. This entry was posted in Personal Tech and tagged Alcatel, Phones on December 15, 2014 by Andrew Comeau. Yesterday, I reviewed the Alcatel OneTouch Fierce smartphone that I picked up last week. As I mentioned, one of its quirks is that the videos taken through the camcorder feature are sometimes extremely dark, so dark as to be unviewable. This only seems to happen inside and I was not able to get it to happen outside, even in dim surroundings. This entry was posted in Personal Tech and tagged Alcatel, Phones on April 16, 2014 by Andrew Comeau. 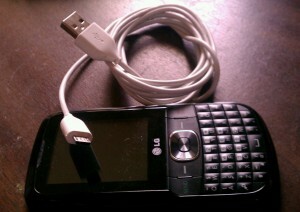 and, after trying out an ultra-budget TracFone solution, I decided to switch over to MetroPCS and a $20 Huawei phone. Over the past year, that’s probably made up for at least some of the money I threw at Sprint but I missed my mobile Internet connection and all the Android utilities I’d become so used to. I also got tired of pocket-dialing people on the cheapo Huawei keypad and the phone was starting to act flaky. 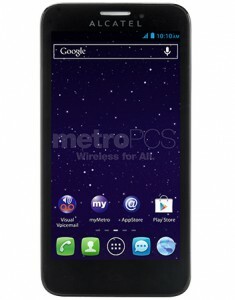 So, this past week, I started looking at some of the budget offerings from MetroPCS and saw the Alcatel OneTouch Fierce. Since it’s been out for a few months, it was as low as $29 depending on the line options and that was good enough for me. The OneTouch actually surpasses the EVO that I had in some ways, although three years later that’s not completely surprising. it’s running Android 4.2 (Jellybean) and has a hi-def 4.5 inch screen with plenty of room to work. This is a 4G phone which is already an improvement over the 3G service I was limited to with Sprint. The service from the combination of the MetroPCS and T-Mobile networks has been pretty good so far, even outside a major metropolitan area. 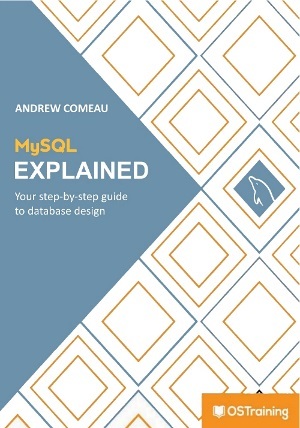 This entry was posted in Personal Tech, Reviews and tagged Alcatel, Android, Phones on April 15, 2014 by Andrew Comeau. Listening to MP3s on my TracFone … and a warning. I remember my first MP3 player back in 2004. I don’t remember the brand but it was an off-brand made in Japan with an liquid crystal display, a manual that had been badly translated into English and a high price tag that did as much as the rest of the device to show how new the technology was. It needed its own software installed on the computer to transfer music files which, in an odd copyright protection scheme, could only be transferred TO the device and it used one AAA battery. I don’t really consider myself an early adopter of technology but this new music player was something I just had to have for my workouts and it played WMA files which I was using at the time so I shelled out well over $100 and used the player well into ’05 or maybe even ’06 when it started to malfunction and I finally decided to get another one. Now it’s nine years later and I’ve watched as MP3 players have become more advanced, less expensive and then routinely integrated into other gadgets like cell phones and eReaders. Even in cheapo players, you can pretty much count on features that I remember scrutinizing the advertisements and tech specs for when I was buying one years ago. 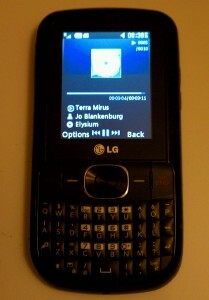 The MP3 player in my new LG TracFone wasn’t the deciding factor for buying it but it was certainly a nice plus. I neglected to order a 4GB microSD card with the phone so I had to wait a few more days as a separate order arrived from California. It finally came in today, I popped it into the phone and started copying music onto it. I haven’t worked with microSD much before and found the transfer to be a bit slow. It took me around 45 minutes to copy 1.35 GB of files onto the card. This isn’t a huge problem as these aren’t meant to be repeatedly copied to the way flash drives are but I was still a little surprised. MP3s can even be used as ringtones or startup / shutdown sounds on the phone. None of this is incredibly surprising if you consider that once the phone includes the electronics to play MP3 files, the rest of the features come down to software. The sound is pretty good with the choice of preset equalizer settings such as Jazz, Rock and Piano and, in a pinch, you might even use the phone’s built in speaker which, while not great for listening, is enough to quickly share a new song with someone else. There is one quirk to the player that in order to play more than one song at a time, you have to have it set to Repeat All or Shuffle. Other players I’ve used run through the album or playlist by default. It’s even less of a battery-hog than the player on my EVO. I’ve played a couple of albums now and have been playing around with the settings to do this write-up and the battery indicator still shows close to a full charge. The EVO is at less than half charge seven hours after being unplugged. Nine years or so after my first player, I’m just a little amazed by a $17 phone (including the microSD card) that includes a full-featured MP3 player almost as an afterthought. One warning I will give about the TracFone – A friend ordered one at the same time as I did and has had a great deal of trouble activating it and getting service. Her experience with customer service has been better than some of the stories I’ve seen online but she still had to go through the ordeal of punching in special codes and repeatedly trying to activate the phone. Finally TracFone sent her a new SIM card which just came in and after one or two more tries, she finally has service. A young relative of hers went through some of the same problems so, evidently, TracFone still has some quality issues somewhere in the system. As for mine, I’m pleased and I’m looking forward to using the phone on my workouts so I can eliminate some of the bulk and the weight of the EVO. This entry was posted in Personal Tech and tagged Phones, TracFone on January 6, 2013 by Andrew Comeau. When you buy a phone pay attention to whether the phone comes with double or triple minutes. I talked about getting a double minutes card but your phone might already have this feature. Definitely read the entire description before buying. This entry was posted in Personal Tech and tagged Phones, TracFone on January 1, 2013 by Andrew Comeau. that a supervisor had gotten himself. I was about ready to change out phones, anyway and when I saw all the things the Android phone could do that my old phone couldn’t, I was sold. I was taken aback slightly by the monthly bill that was quoted to me but I figured, what the heck, I can do it and it’s a really cool phone! The 3G service and the mobile hotspot served as my main Internet connection for awhile and I quickly got used to having this futuristic gadget that could do anything I needed, anywhere. If I needed another function, whether it was an exercise tracking program or photo editing software, there was always a free app to be found. Now, the contract is almost up and I’m rethinking this $85/month bill that I’m paying. That doesn’t include the cost of the mobile hotspot that I dropped early in 2012 when I decided to get DSL service or the $8/month service plan that I just dropped. It does include a $10/month charge for 4G service that never materialized in my area, at least not on my carrier. I’ve also realized that many of the features that I like so much on the EVO can be used even without the service plan and I’m asking myself how much I’m really willing to pay a month, especially when the promotional period on my DSL runs out in March and that bill goes up. If you’re in a similar place or if you’re debating between a smartphone and something more basic, you’ll find some helpful information here. None of these applications are state of the art and you wouldn’t expect them to be for this price but they are there. The camera and the video are adequate for taking basic images, especially outside, and have some surprising settings for image manipulation. Activation was simple and quick through the TracFone site and there is the option to move existing numbers to the phone, either from TracFone or other companies. Again, the menu system takes some learning and I avoid having to dig through documentation if I can so I had to search for a bit to find the voice mail number. I finally found it, called in and found the prompts to setup the mailbox to be pretty easy to follow. There’s actually a shortcut key on the phone that will take you directly to the voicemail. Be sure to order the accessories you need with the phone. 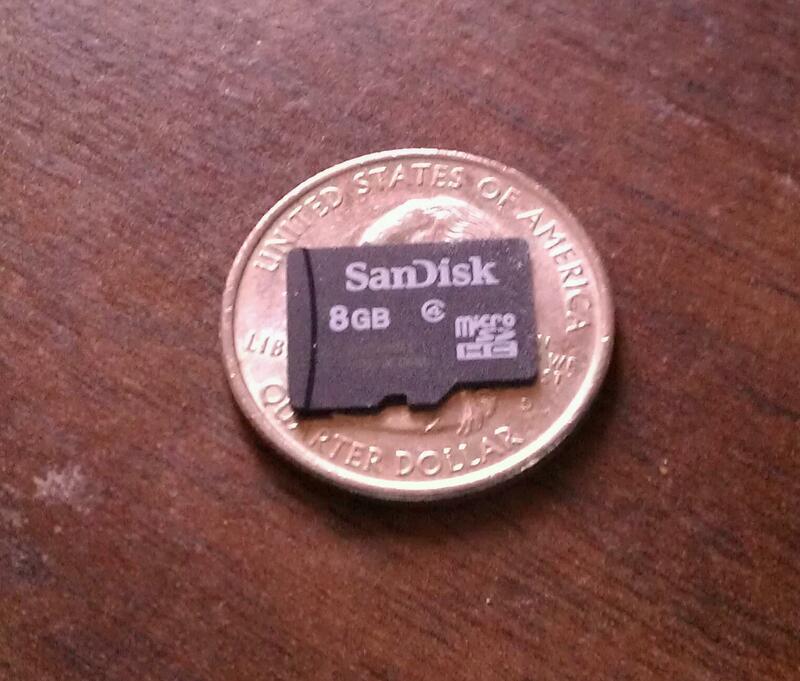 The storage media keeps getting smaller. MicroSD Memory Card – The LG500g uses a Micro SD storage card for storing pictures, MP3s and anything else that won’t fit into the 170 KB or so of memory in the phone. Be aware that the LG500g phone will not recognize anything over a 4 GB card. These 4 GB cards are becoming harder to find in the stores and, when you do find them, they are unreasonably expensive. I went to five different stores and finally found them for anywhere from $17 to $29 a piece. This is odd since the 8 GB cards go for as little as $6. Amazon has the 4 GB cards for under $7 each so it’s best to order one with the phone. Another option would be to get another phone that holds the 8 GB cards and larger cards. Regardless of which phone you get, this is an accessory to be aware of. Note the connectors – MicroUSB to USB. Phone to PC cable – The included charger for this phone plugs into the MicroUSB port on the side of the phone and then into an AC outlet. This USB connection is the same one used on a number of other phones and the Kindle. Those devices often include a charging cord that runs from the device to a PC so you might already have a phone to PC cord that you can use. If not, you will need one if you want to transfer MP3s or other data between your computer and the MicroSD card in the phone. These cables can be around $20 in the stores. It’s a lot less on Amazon where you can get a nice retractable USB cable for a fraction of the price. Just remember that the connection type on the phone is referred to as MicroUSB. The other end for the PC is a standard USB connector so it’s called a “MicroUSB to USB” cable. Again, you’ll see this type of cord used on a number of other devices so it’s good to be familiar with this type regardless of what phone you’re getting. Minutes and Double (or Triple) Minutes card – The phone comes with 20 minutes / 60 days of air time. You’ll use up at least half of those minutes setting up your voice mail and trying it out. The additional minutes cost the same no matter where you get them but it wouldn’t hurt to order a card with an extra 120 minutes or so to start out. You can also get the cards at many grocery and drug stores or you can purchase minutes on the TracFone site or through the phone itself. In addition, a Double Minutes card costs about $8 and will double every batch of minutes you add to the card for the life of the phone. This will save you a substantial amount of money. The 120 minute card I added was doubled to 240 minutes and the coupon book that came with the phone added 20 bonus minutes to that card for a total of 260 minutes. If you’ve never used a prepaid phone before, as I hadn’t, when you add minutes you’re also extending the number of service days you have for the phone. At least, that’s how TracFone does it. This is probably so they’re not wasting one of their assigned numbers on an account that’s gone inactive for one reason or another. With a standard cellphone or land line, the number would be freed when the bill stopped being paid. With cheap, prepaid phones, the company could lose a lot of available numbers to forgotten phones sitting in drawers and cars somewhere so, even though your minutes do carry over from one month to the next, there is a service expiration date that you need to pay attention to. Also be aware that when you get one of these phones, the number assigned to you was probably someone else’s number a short time ago so you might get a a bunch of calls and text messages for someone else. Calls are rounded up to the nearest minute and received text messages cost you 0.3 minutes if you open them. So, when the phone says you have a new text message, don’t just click OK to open it. Go to the phone’s message center instead where you can delete the message without opening it and not be charged. I’m especially happy with the coupon book with all the bonus minutes and I’m hoping this turns out to be a good solution to cutting down my phone bill every month. This entry was posted in Personal and tagged Phones, TracFone on December 31, 2012 by Andrew Comeau.